Ceningan Divers is Nusa Ceningan's Premier PADI 5 Star Dive Resort. Ceningan Divers is an eco-friendly PADI 5 Star Dive Resort. 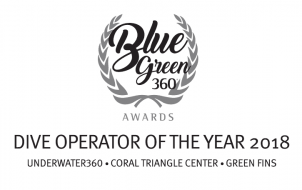 We are a Green Fins Operator, Green Star Award, 100% AWARE Partner, the winner of the Dive Operator of the Year at the 2018 BlueGreen360 Awards, and won 3rd place at the Dive Travel Awards 2018 in the Best Dive Centres and Dive Resorts in the World category.There’s a saying “Good Divers Never Stop Learning”. With that in mind, we’re always pushing the envelope; improving ourselves, learning new tricks, and growing as human beings. Your safety is our number one priority. Teaching you following the highest industry standards is our mission. 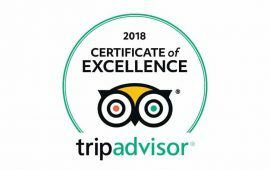 We hope our commitment to providing you with the best learning experience is apparent in our dedication and our passion for our ocean planet.Ceningan Divers takes ocean protection to heart, we support a clean, healthy ocean by making a donation on behalf of each of our students to Project AWARE. 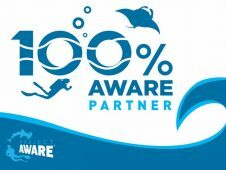 When you take a PADI course with Ceningan Divers, you will receive the Project AWARE version of your PADI certification card and be part of a movement of divers protecting our ocean planet. 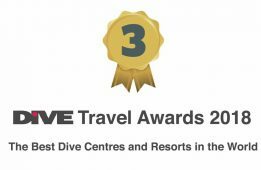 We are the co-owners of this award-winning PADI 5* Dive Resort. We founded Ceningan Divers on August 1st 2015 out of our passion for marine ecology, service industry and scuba diving. Our personal goals is to create a safe and relaxing place for divers to enjoy. We aim to welcome you the same way we hope to be received when we go on diving vacations; like family, in a personable and friendly setting. We operate our boutique eco dive resort following our personal values and international standards.We can support you in the following languages including: Bahasa Indonesia, English, French, German, Italian, Romansch, and Spanish. Sandra comes from Zuoz, Switzerland. She started diving in 2003. She studied tourism management before becoming a PADI instructor in 2009. Since then she’s helped hundreds of divers achieve their goals, delivering quality training of all levels from Open Water to Instructor. Sandra is a PADI Master Instructor. She is known for her attention to details and strict adherence to PADI standards. When she is not busy mentoring our dive team you can find her around the shop managing our diving operation. Robert comes from Montreal, Canada. He’s been diving since 1988. He did his Divemaster in 1997. He is a jack-of-all-trade. He is passionate about the environment and social justice, he leads various projects around the resort with dedication and commitment to our mission. After a rewarding career in marketing, he returned to his first love; scuba diving and exploring our Ocean Planet. He's been active in the industry since 2010. Robert is a PADI Master Instructor, an Emergency First Response Instructor Trainer, and Tec Instructor. Much of what you will experience at Ceningan Divers is the cumulative work of an entire team of dedicated people. From our boat captains to our support team, our Divemasters and Instructors. One thing is for certain, your dive vacation would not be the same without each and every one of them. Pak Desi as he is knows, is our Captain. He knows the water around the Nusa Islands better than anyone, he is a multi generational pirate, fisherman and boat captain. The sea is in his blood! Pak Putu is more than just the Captain of our small boat. When he is not diving he is busy helping around the resort with various tasks, community support and watching over our property at night! Angga is a PADI Divemaster and acting dive manager. 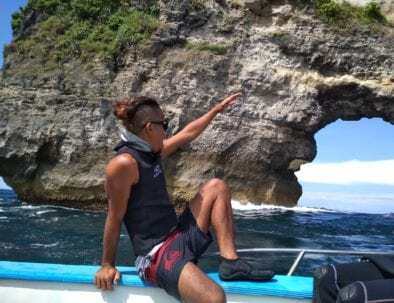 He comes from Lombok and joined our PADI GoPRO Scholarship in 2018. He excelled in his duties and is currently being trained to become a PADI Instructor. Beto is our Lead Divemaster, he has over 2000 dives and can find pretty much anything our guests want to see. Always smiling and ready to help, he keeps our divemaster shark with his vast knowledge. Wahab joined our team in January 2019 as part of our PADI GoPro Scholarship. He is currently training to become a Divemaster and work side by side with our dive team to master his skills. Vita joined our team in January 2019 as part of our PADI GoPro Scholarship. She is currently training to become a Divemaster and work side by side with our dive team to master her skills. Gusti comes from Sulawesi, he is our skillful boat hand and dive operation support staff. When you don't see him helping our team and guests on the boat, he is busy filling thanks and supporting the dive teams. 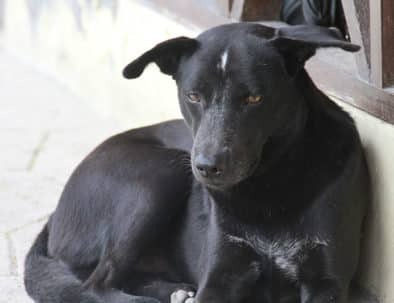 Blackie adopted us last year. He was an Alpha stray for some time and claimed our dive resort as part if his territory. Last year he decided to allow us to become his humans and he has since been taking care of our team and guests. Every day, our kitchen team works tirelessly behind closed doors preparing tasty snacks for our guests to enjoy in the boat and cooking our amazing divers' lunch! From ensuring our fridge is full of icy cold beers to serving our guests tasty meals and handling payments. Life at our dive resort revolve around our bar team. Are you passionate and do you share our love of the ocean? If you are an Indonesian Citizen and you are looking for a rewarding career in the tourism and dive industry we want you! The management team of Ceningan Divers is looking for a motivated PADI Divemaster with Indonesian citizenship to join our dive team. The management team of Ceningan Divers is looking for an Indonesian citizens to join our dive team as boat hand. Would your like to get in touch?